LOS ANGELES - The men and women of the Los Angeles Fire Department mourn the death of Cadet Ryan S. Kirby, who died in a non-department related accident in Thousand Oaks on September 25, 2012. Kirby, age 24, began his volunteer service with the Los Angeles Fire Department in February 2012, as a member of LAFD Crew 3. He is survived by his parents James and Debbie Kirby. An eager learner and hard worker, he will be greatly missed by all who knew him. The Old Fire was a human-caused wildfire that burned out of control through a large area of the San Bernardino Mountains, in San Bernardino County of southern California., in October 2003. 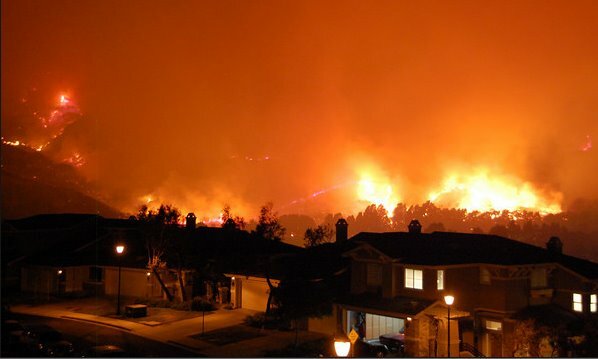 The Old Fire was one of 15 wildfires throughout Southern California that month, and briefly the largest until the Cedar Fire overtook it and broke the state's wildfire size record which became known as the "2003 Firestorm" and the "Fire Siege of 2003. A jury Friday recommended death for Rickie Lee Fowler, an arsonist convicted of murder in the deaths of five men who suffered heart attacks after the 2003 Old Fire evacuation in the foothills above San Bernardino. Wikipedia Snip(2): In 2009, Rickie Lee Fowler was charged with igniting the Old Fire. Authorities believed that he was a passenger in a vehicle that was seen leaving the area where the fire started; the driver of the van, Martin David Valdez, Jr., died of a gunshot wound in 2006. A grand jury indicted Fowler October 19, 2009, with one count of arson of an inhabited structure, one count of aggravated arson, and five counts of murder. On January 21, 2010, the San Bernardino County prosecutor announced that he would seek the death penalty. Fowler recanted his confession saying that he had admitted to the crime only to appease authorities so that he could be transferred to a prison closer to his mother. In September of 2011, Fowler moved to dismiss the indictment because the prosecutors had failed to present exculpatory evidence to the grand jury. The trial is scheduled for July 2012 in San Bernardino , rescheduled from January. , and expected to last until November 2012. Prosecutors are charging Special Circumstances which can bring the Death Penalty. 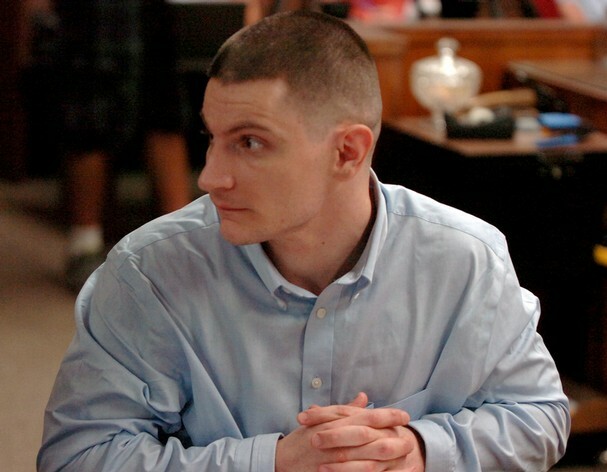 On August 15, 2012, Fowler was convicted of five counts of murder and two counts of arson. On September 28, 2012, a jury in San Bernardino County recommended a death sentence for Rickie Lee Fowler. LAFD Crew 3 Cadet killed in off-duty accident. 24-year-old man killed Tuesday in a motorcycle crash was identified by authorities Wednesday as LAFD Crew 3 Cadet Ryan Scott Kirby of Thousand Oaks. Cadet Kirby apparently lost control of his motorcycle about 3:40 p.m. Tuesday on Westlake Boulevard south of Potrero Road in Thousand Oaks before colliding with a vehicle driven by Katherine Moulene, 54, of Westlake, officials said. Kirby was ejected from the motorcycle and pronounced dead at the scene, authorities said. An autopsy found he died of blunt-force injuries, according to the Ventura County Medical Examiner's Office. Moulene sustained minor injuries and was treated at Los Robles Hospital & Medical Center, officials said. Ventura County sheriff's want witnesses to call them at 494-8271. SAN FRANCISCO — New developments in a San Francisco vehicular assault case that left a Cal Fire firefighter in a coma came to light Tuesday, as prosecutors played cell phone video that they said shows the defendant intended to harm the victim. The incident began with an altercation at a Jack in the Box located on Geary Avenue last November 24th. Surveillance video shows a confrontation inside between customers and Cal Fire firefighter Albert Bartal and John Corriea, who is the son of San Francisco Police Commander Correia. In the video 24-year-old Eduardo Chaparro Esquivel can be seen stepping forward. "He stood in-between two other gentlemen who were arguing with Mr. Bartal and Mr. Correia," said Esquivel's attorney, Marla Zamora. "He stepped in and held his hands out. He was a peacemaker." Moments later, Bartal rushes Chaparro Esquivel and appears to strike him. On Tuesday, prosecutors played a cell phone video shot by a Jack in the Box customer for the first time in an open court hearing. "Mr. Chapparro just stood there," said Zamora. "He didn't hit him back and as you can hear from the tape he said, 'I didn't touch him, I didn't touch him.'" But a few seconds later, Chaparro Esquivel can also be heard saying "I'm gonna f--- him up! I'm fitting to go run him over!" Prosecutors said minutes later, Chaparro Esquivel used this rental car to strike Bartal at a nearby Shell station. "It's very concerning and that's one of the reasons we're prosecuting this case," said San Francisco District Attorney George Gascon. "We feel that there was clear intent on the part of Mr. Esquivel in what he did." Defense attorneys are challenging the authenticity of the video and downplaying their client's statement on it. "It's just a statement," argued Zamora. "After you get punched in the face, what would you say?" Albert Bartal has been in a coma since the November incident. Chapparro Esquivel faces attempted murder and other charges. His preliminary hearing continues October 15th. San Miguel Fire Protection District entered into a long-anticipated mutual agreement to contract out its fire services to CAL FIRE. According to a district report, San Miguel will pay Cal Fire $68.2 million over the next five-and-a-half years to provide the services. The new contract would close the current budget gap largely by the elimination of several positions and longer work hours by firefighters. The merger will eliminate a division chief, two administrative specialists, nine fire suppression positions and the position of fire chief, currently held by longtime San Miguel firefighter Gary Croucher. Cal Fire’s San Diego Unit Chief Howard Windsor will function as chief for the San Miguel District and two Cal Fire division chiefs will be the direct supervisors. The contract will increase by 3 percent during the 2013-14 fiscal year. The San Miguel Fire Protection District made the following announcement on Tuesday, Sept. 25: The San Miguel Consolidated Fire Protection District’s Board of Directors voted Tuesday night to approve a Cooperative Service Agreement with CAL FIRE. The Board voted unanimously to approve the 5 1/2-year agreement. “This Cooperative Agreement allows the District to proceed with a balanced budget, maintain the current level of service for our residents and provide for the long-term viability of the District,"“It is important for residents to know the transition of firefighters from San Miguel to CAL FIRE will be as seamless as possible. As the agreement gets underway the District will continue to provide the same high level of service to the community.” - Board president Chris Winter said. Both affected labor groups approved of the transition through the cooperative agreement. “The Board of Directors and our firefighters have put public safety first in this historic decision," "The majority of our annual savings will come from the firefighters working longer shifts and the reduction of overtime.” - said San Miguel Fire Chief Gary Croucher. The transition of District firefighters will occur on December 31, 2012. The San Miguel Fire District and its Board of Directors will remain intact, and the District will continue to own all of its assets. While the District’s suppression personnel will transfer to State employment, several District employees will remain. These positions would include a Fire Marshal, two Fire Inspectors, a Business Services Manager, a Secretary, a Fleet Maintenance Supervisor, a Fire Apparatus Mechanic and a Public Information Officer. The San Miguel Consolidated Fire Protection District is experiencing its fourth year of declining revenue vs. expenditures. The District has lost roughly 20 percent (about $2.5 million) of its property tax revenue since 2009. Permanent closure of Engine 15. Station 23 shifted temporarily to a two-person medic squad from a three-person engine. Significant employee givebacks, which included increasing the amount employees contribute to pensions, as well as paying a greater share of their medical benefits. Other concessions included the elimination of holiday pay for rank and file employees, decreased leave earn rates, the reduction of overtime and implementation of furlough days. Significant reductions in overall expenditures. In an attempt to eliminate the structural budget deficit and maintain the existing level of direct emergency services, the Board of Directors authorized a Request for Proposal be issued to surrounding fire agencies. This in turn led to the CAL FIRE proposal, the only proposal that was received. The primary objective of the Board and the Fire Chief is to ensure that the citizens and businesses of the San Miguel Fire District receive the best level of service possible within the resources available. During the course of the contract, the San Miguel Board of Directors will monitor all aspects of CAL FIRE’s performance to help ensure service levels for residents remain at the high quality expected. The San Miguel Consolidated Fire Protection District is the largest fire district in San Diego County. The District was formed on July 1, 1988 through a merger of the Spring Valley and the Grossmont/Mt. Helix Fire Protection Districts, and again on July 3, 2008 with the East County Fire Protection District. The District has grown over the past 20 years in commercial businesses, housing density and population. The District provides suppression, prevention and emergency medical services to approximately 134,000 residents. Its suppression force responds to approximately 9,000 fire and medical-related emergencies annually, serving the Communities of Bostonia, Casa de Oro, Crest, Grossmont/Mt. Helix, La Presa, Rancho San Diego, Spring Valley, and unincorporated areas of El Cajon and La Mesa. Please join us as we honor our three fallen heroes who paid the supreme sacrifice: Firefighter David Scott; Fire Engineer Thomas Gould; and Fire Captain David Kreske. The ceremony will be followed by their photographs being placed on the SBFD Fallen Firefighter Memorial Wall. This will be a moving and historic event that will be attended by the families of our fallen Brothers and Community dignitaries. Please see the attached flyer for more information. GILROY -- The city of Gilroy has hired a retired San Jose firefighter to serve as its interim fire chief, replacing the previous acting chief who resigned earlier this month after a police sting caught him trying to buy alcohol for an underage decoy. Alan Anderson, who retired last year as a battalion chief for the San Jose Fire Department, stepped into the Gilroy post Tuesday, according to a news release from City Administrator Tom Haglund. Anderson, who also served in Union City and for the statewide Cal Fire, will receive a monthly salary of $14,525 and is expected to help the city look for a permanent chief to succeed Dale Foster, who retired in August. The city announcement made no mention of the fact that Gilroy's previous interim chief, Fremont resident Roger Bloom, resigned Sept. 10 after he was issued a misdemeanor citation in Live Oak for agreeing to buy beer for a 20-year-old man working for Santa Cruz County authorities. The undercover operation, known commonly as a shoulder-tapping sting, is aimed at curbing underage drinking and also targets merchants who illicitly sell alcohol. Haglund's statement focused on the strengths he said Anderson brings to the city as the new interim fire chief, lauding his seasoned firefighting background, communication skills, and, in what some might view as a veiled reference to the recent scandal, Anderson's personal ethics. "Chief Anderson brings excellent administrative, emergency management and fire ground experience to the position, having served at three different fire agencies over the course of his 30-year career," Haglund said. Update: 9-27 0730 Shockey Fire CA-MVU-10383, San Diego Co., East of Campo. 2,556 acres, 98% contained. Fire lines continue to hold. No further spread expected. CALFIRE IMT team #6 (Chaney) assigned. Continue to demob excess resources. 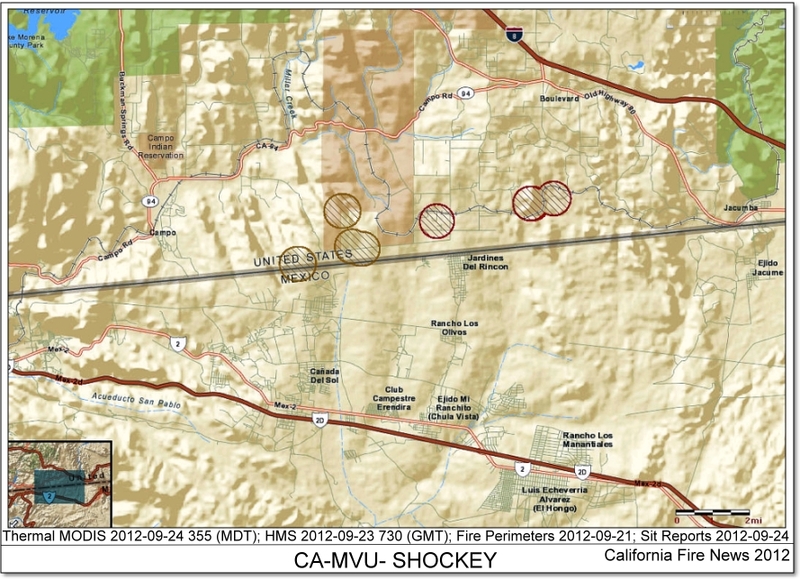 Update: 9-26 1750 CA-MVU- #ShockeyFire . 2,851 acres, 90% , East of Campo. SRA (BIA and BLM Lands) No further spread expected. Update: 9-24 1000 CA-MVU- #ShockeyFire CA-MVU-10383 2451 acres, 40%. #CALFIRE IMT6 (IC Chaney) assigned. No further spread expected #CaFire. Update: 9-24 0600 Acres Burned: 2,000 acres - 10% contained., This morning the fire continues to threaten 80 homes in Eastern San Diego County. Conditions: The fire is burning actively towards the east. Rapid Rate of Spread. Evacuations: Evacuations in place for Tierra Del Sol, Jewel Valley & Boulevard area. The Red Cross has opened an evacuation shelter at the Mountain Empire High School in Pine Valley. Structures Destroyed: There have been an estimated 20 residences destroyed and 10 damaged. 15 outbuildings have also been destroyed. Airtankers: 6 airtankers, Helicopters: 6 helicopters. More than 2 million California homes face extreme wildfire hazards, according to new research by the insurance industry. Analysis by the Insurance Information Network of California and Verisk Insurance Solutions -- Underwriting, a unit of Verisk Analytics, (Nasdaq: VRSK), reveals that the majority of high-risk homes are located in Southern California. However, rural Northern California counties are not exempt, as many of these regions have the highest percentage of homes exposed to extreme fire dangers. More than 417,000 of these high-risk homes are located in Los Angeles County. Southern California counties represent 53 percent of the high-risk homes statewide. By comparison, Northern California, however, has a higher percentage of high-risk homes. The counties of Alpine, Mariposa, Tuolumne and Nevada account for more than 95,000 homes. However, more than 77 percent of these, or nearly 74,000, are considered high-risk. Verisk Underwriting, a leading provider of data and analytics for the property insurance industry, used FireLine™, its wildfire risk management system to analyze California wildfire risk. FireLine utilizes advanced remote sensing technology from Verisk’s Atmospheric and Environmental Research (AER) business unit to evaluate wildfire risk at the address level. The AER technology assesses the three primary factors that contribute to wildfire risk. Fuels: Trees, grasses and brush that feed wildfires were analyzed. 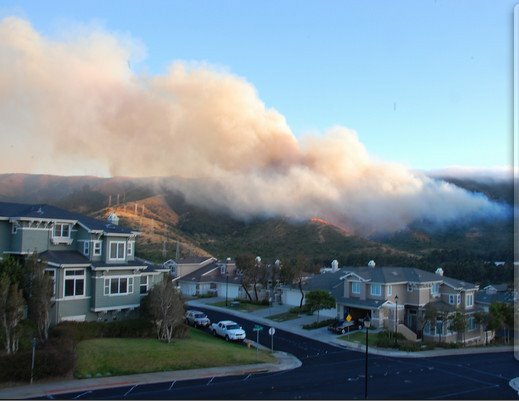 Slope: The grade of the surrounding land was measured as terrain can influence the speed and intensity of a wildfire. Access: A determination was made on the condition and network of roads leading to each individual property. Using the FireLine results, all properties in California were classified as low, moderate or high-risk for wildfire loss potential. Statewide, insurers protected more than $3 trillion worth of residential property in 2011, according to the California Department of Insurance. The California FAIR Plan, the insurer of last resort insuring high-risk properties, insured less than 1.25 percent of it. As a result, private insurers cover nearly 99 percent of the insured residential properties in the state. IINC has available an interactive map on its web site, www.iinc.org, that provides a county-by-county breakdown of the number and percentage of homes at risk. Charlie Dowd, a 69 year-old retired firefighter and resident of San Mateo, has been missing since boarding an Amtrak Train bound for Chicago on September 12th. Updated information indicates that Dowd likely disappeared from the Amtrak Train on the route between Morgan, Colorado and McCook Nebraska. Amtrak Police are investigating the disappearance, and continues to be the primary investigating entity in this case. San Mateo Police Department has been in regular contact with both the Dowd Family in San Mateo and Amtrak during the course of this investigation. San Mateo Police Department has dedicated two experienced detectives in a support capacity to assist in the ongoing investigation. The SMPD Detectives have traveled to Colorado to meet up with Amtrak Police. Their role will be to assist Amtrak with the massive undertaking of coordinating a search over hundreds of miles of railroad tracks to locate Charlie Dowd. Charlie Dowd is a 69 year-old White Male, about 5’10” and 175 pounds with gray hair and blue eyes. The Dowd Family has established a Facebook Page and a Twitter Account to provide updated information about the search for Mr. Dowd. Two Los Angeles County firefighters who lost their lives in the Station Fire are set to be honored Wednesday at a ceremony to dedicate a freeway interchange in Lancaster. Where: Interchange at State Route 14 and Angeles Forest Highway will be known as the "Los Angeles County Fire Captain Ted Hall and Engineer Arnie Quinones Memorial Interchange." 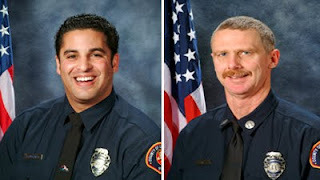 Why: Captain Ted Hall and Engineer Arnie Quinones lost their lives during the devastating 2009 Station Fire, the largest fire in the history of Los Angeles County. both were killed when their truck plunged 800 feet off a dirt road as they battled oncoming flames in the 2009 Station Fire - the largest wildfire in Los Angeles County history. Who: Los Angeles County officials are set to attend the ceremony along with relatives of the fallen heroes. About 25 miles east of Los Angeles, the Forest Service’s San Dimas Technology Development Center is ready to start operations using a photovoltaic array to supply the buildings there with a potential 600,000 kilowatt hours of current each year. This solar power generation system was constructed with $1,084,894 from the Recovery Act, and $371,143 of capital investment funds appropriated for the Forest Service. It incorporates 1,288 solar panels located on 1.5 acres. The facility includes five structures with a total of 32,800 square feet. The excess energy will enter the electrical grid creating a monetary credit with the local electrical utility. This monetary credit is expected to meet the electrical costs of the Angeles National Forest Supervisor’s Office in Arcadia, Calif. The total electrical energy generated by this system will save the Forest Service over $100,000 annually and should pay for itself within 10 years with a savings of at least $1.5 to $2 million over its cost. As part of its goal of becoming a “net-zero energy” facility, the center contracted several energy saving projects including the replacement of a 45-year-old heating, ventilation, and air conditioning system in the administration building and the installation of energy-efficient fluorescent lamps, occupancy sensors, and electrical plug load strips. These items were installed by contract with the California Conservation Corps, enabling the 18- to 23-year-old workers to develop marketable skills while earning needed income. San Dimas Technology Development Center is one of two National Technology and Development Centers in the Forest Service. One of its functions is to adapt new technologies to directly meet the needs of the agency. Lessons learned during the design, installation, and connection of this new system through the local utility to the electric grid will be reported to all of the Forest Service. This information will assist the agency to increase the rate at which its facilities are converted to using renewable energy sources. Other center projects are focused on increasing the safety of wildland firefighters and other forest workers, as well as enhancing the outdoor experience for the many public visitors to the national forests and grasslands. A dedication of the photovoltaic power system will take place on Sept. 19. The primary consideration of any operation is to assure firefighter and public safety. It is a must to assess potential fire behavior, ingress/egress routes, nature of the threat, hazardous materials, and available water supplies before engaging in the protection of any structure. 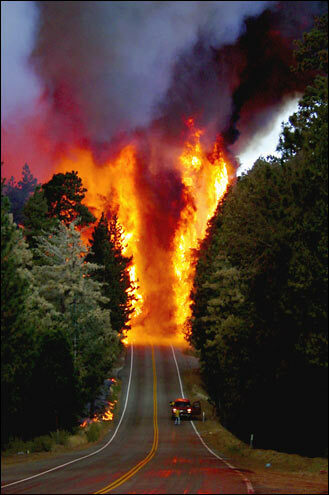 The fire intensity dictates that you leave the fire area immediately. You cannot safely remain at the structure because your escape route could become unusable. Do not enter a burning structure unless you are trained, equipped, and authorized. Firefighter safety and survival is the number one priority. Coil a short, charged line with fog nozzle on your engine for safety and quick knock down capability. Don’t make long hose lays. Keep at least 100 gallons of water reserve in your tank. Place the owners’ ladder at a corner of the home on the side with the least fire threat.